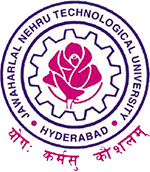 JNTUH MBA Time Table 2019: JNTUH MBA 1st, 2nd, 3rd, 4th Semester Regular/Supply Exam Time Tables April/May 2019, jntu hyderabad mba i, ii, iii, iv sem R17, R15, R13, R09 end exam time tables 2019. JNTU Hyderabad has announced MBA 1st, 2nd, 3rd, 4th Semester R17, R15, R13, R09 Regular/Supplementary Examination Time Tables April/may 2019. Students can download their JNTUH Mba 1st Sem Time Table, JNTUH MBA 2nd Sem Time Table, JNTUH MBA 3rd Sem Time Table, JNTUH MBA 4th Sem Time Table below. OB subject date in online it is 10th dec but in my h.t it is on 22nd dec.
Plz tell me exact date of OB exam . May I know the MBA II semester supplementary exam dates? I had completed Mba 2013 to 2015 batch but I have back lack .But I want to written exams .I don't get any information my college kindly share any information.